View of Cleveland Public Square looking west from Superior Avenue, April, 1865. The catafalque for President Lincoln's casket can be seen in the left background, with the statue of Oliver Perry immediately in front of the catafalque. Horse car tracks along Superior Avenue are in right foreground with line of horse cars in right background. Public Square was and remains the ceremonial center of the city of Cleveland. 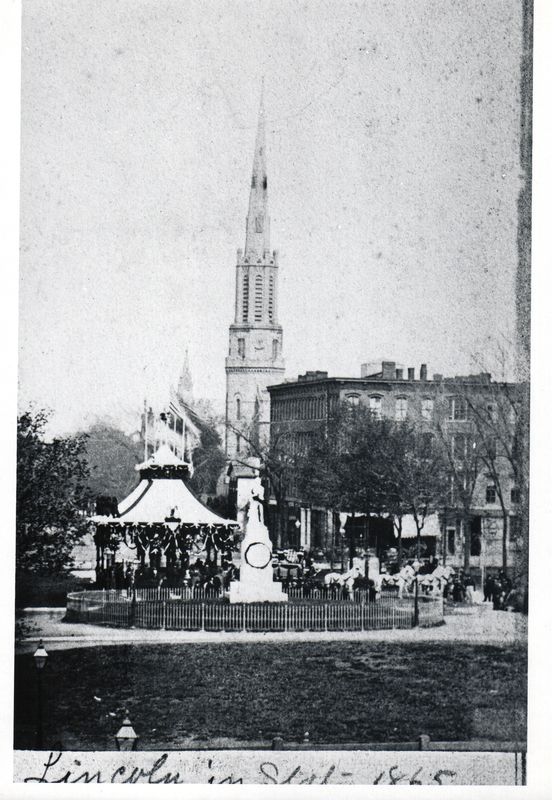 On April 28, 1865 over 60,000 people lined up, surrounding Public Square, to view the body of the assassinated President since the casket was displayed open.